In recent years there have been many criticisms of, and public discussion about, how children who come into contact with the police and youth justice system are protected. This has included scrutiny of Home Office and Ministry of Justice policy, policing practice and the legal framework: by the courts, the UN Committee on the Rights of the Child, the Children's Commissioner, Parliament and Parliamentary committees, NGOs, expert academics, and the press and public. This has included, for example, widespread discussions about the human rights implications of technology deployed against children such as high-pitched Mosquito alarms and Tasers; concerns regarding the strip-searching of children in police stations; and criticisms of over-criminalisation of children, including "net-widening," i.e. an increasing number of offences which may be committed by children, and criminalisation through breach of civil orders such as ASBOs. In January of this year, these discussions hit the front pages when grave concerns were raised following the broadcast of a BBC Panorama investigation into Medway Secure Training Centre. The BBC secretly filmed G4S staff apparently assaulting, mistreating and abusing boys aged 14 to 17. 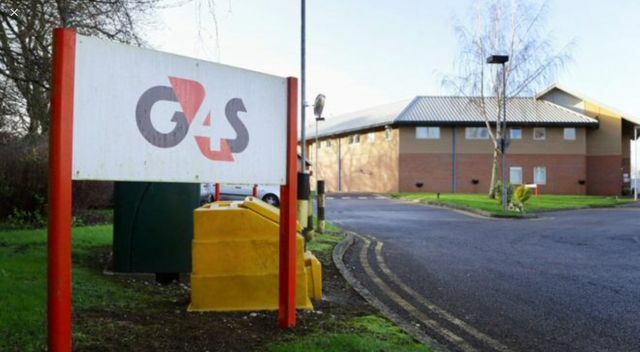 In May, an inquiry found complaints about three G4S-run youth offender centres had been ignored by the Youth Justice Board. Ofsted has since condemned Medway for its growing levels of violence, and there have been 12 arrests made. Against this disturbing backdrop, two important reports were published this week by charities with expertise in children's rights about policing and youth justice. Both are essential reading for those of us who work in this field, and anyone whose decision-making may affect vulnerable children. These two reports provide further key information about children's interaction with police and their experiences in the youth justice system. First, on Monday 10th October the Howard League for Penal Reform published figures which revealed that arrests of children in England and Wales have fallen by 59 per cent in the past five years. During 2015, police in England and Wales made 101,926 arrests of boys and girls aged 17 and under. The number has fallen every year since 2010, when police made 245,763 child arrests. Some expressed doubt about the relevance of the figures, with some Twitter users suggesting that it may simply be linked to cuts to the number of frontline police, although the Howard League reported that there is a clear link, as many forces have reviewed their arrest procedures and policies after the charity's positive engagement with them. Frances Crook, Chief Executive of the Howard League, said, "I applaud the police for their success in reducing child arrests. The Howard League is proud to have played its part in a significant change to the policing and life chances of children." Second, on Friday 14th October the Children's Rights Alliance for England (CRAE) published a detailed briefing paper about policing and youth justice which was based upon the experiences of affected children. The paper drew on a survey and in-depth focus group consultations with almost 1,000 children and young people across England. This work was undertaken by children and young people who work on CRAE's ground-breaking See It, Say It, Change It project. CRAE's paper gives many deeply concerning and distressing examples of children's poor experiences at the hands of police and in the youth justice system. CRAE rightly make clear that this is a snapshot of particular experiences, and state that, "it does not try to represent the experiences of all children in contact with the police or youth justice system," although the experiences described do dovetail with what we know from other sources. the majority (55%) of children and young people who responded to CRAE’s survey felt the police do not have a good relationship with children. many children reported that the police did not listen to them when they experienced pain whilst being restrained. For example, 15 year old Dwaine says: “you bend my hand, and I’m telling you excuse me, you’re hurting me, you’re not listening”. experiences of violence being used against them by staff. high levels of self-harm in youth custody settings. The words of 11 year old Ricky are chilling; he describes how he heard “lots of shouting children… and then one of them was crying and one of them was kicking the wall or banging their head on the wall”. degrading treatment and lack of dignity. One girl, 16 year old Kesha, described how she was required to shower handcuffed in a secure training centre, in the presence of male and female security staff. These two reports, published within days of each other, give us important additional information about children in contact with the police and in the youth justice system. Whilst it is undoubtedly welcome news that the numbers of arrests are going down, as the Howard League told us at the start of the week, CRAE's report reminds us that, for those who are arrested, there are very serious concerns about their experiences of policing, and there are particularly urgent issues which need to be addressed about the violation of the rights of children detained. "You're hurting me, you're not listening": children speak out about policing and youth justice Children and young people have spoken out about their experiences of policing and the criminal justice system and called for change. CRAE's new briefing draws on a survey and in-depth focus group consultations with nearly 1,000 children and young people across England. The research was directed and led by children and young people on CRAE’s See It, Say It, Change It project and revealed distressing details about children’s treatment at the hands of the police and youth justice system.